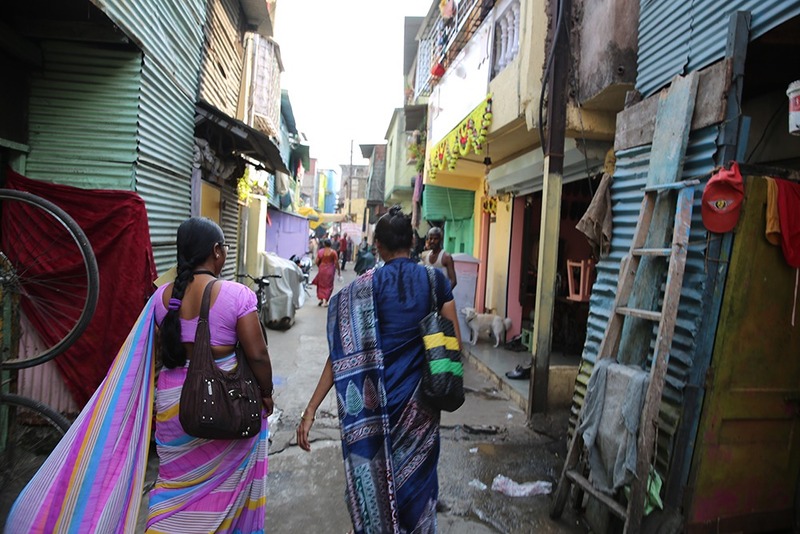 Bapu Trust workers walk through the slums, looking for people who need assistance. 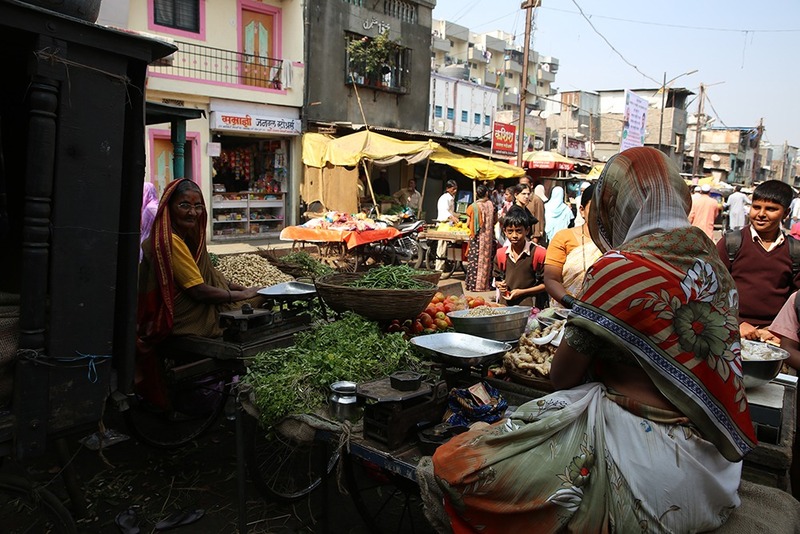 Vendors sell fruits and vegetables in the slums. 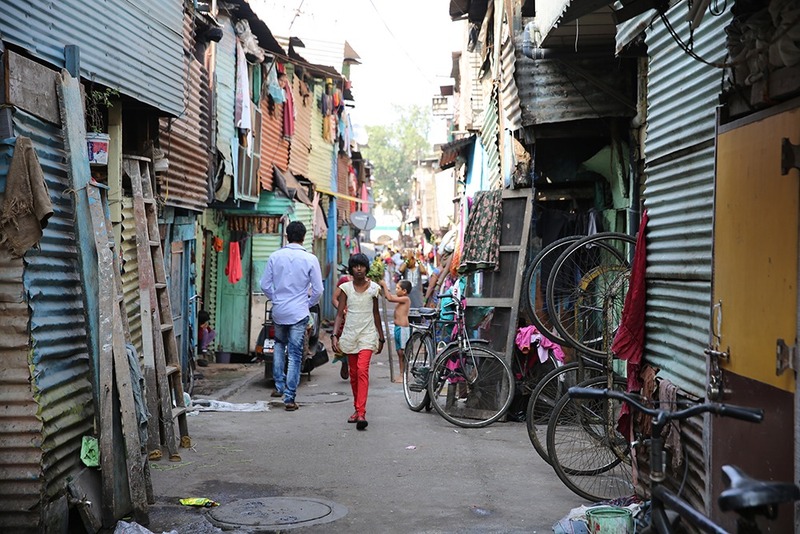 A girl walks through the narrow alleys of the slum. 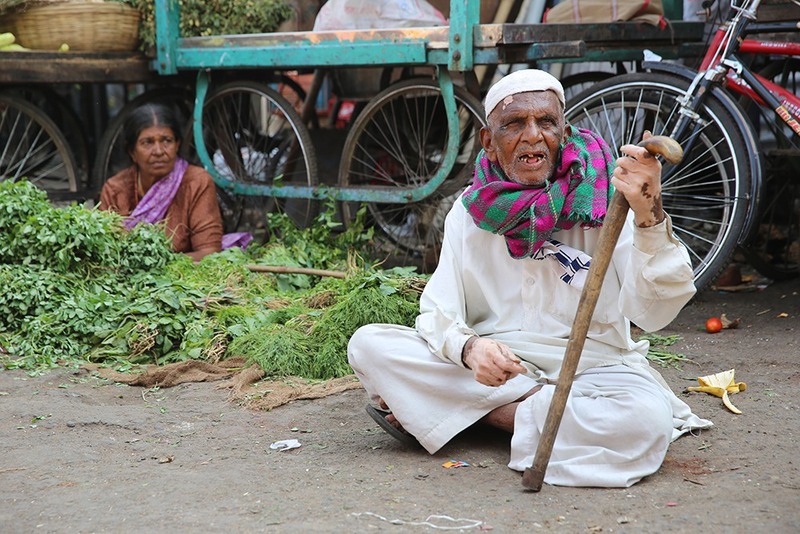 A man sits on the side of the road. 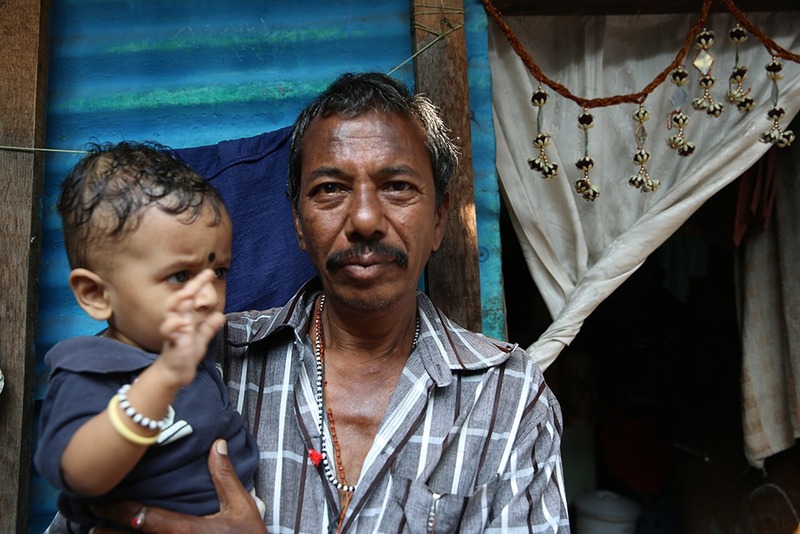 Bapu Trust workers get ready to visit their patients. 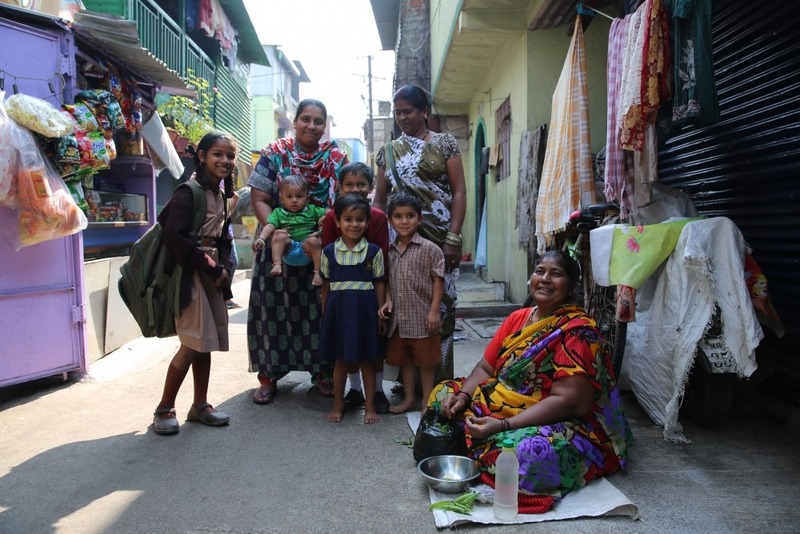 Women and children in the slum of Pune. 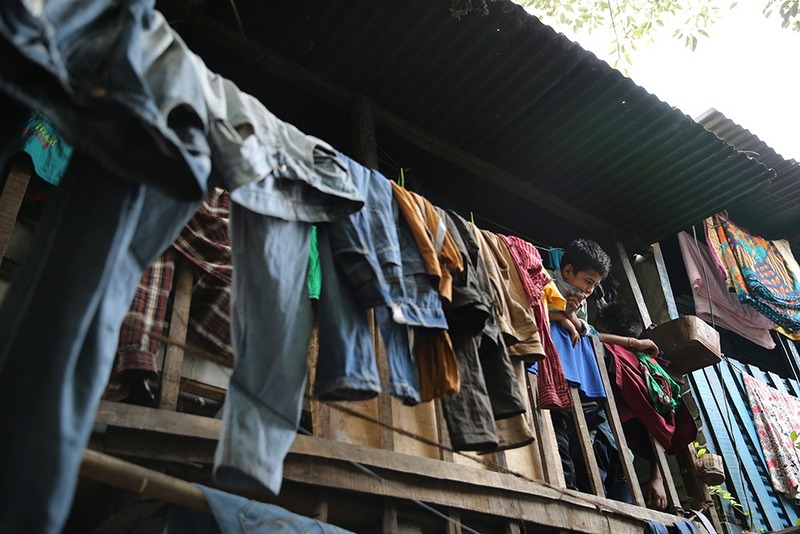 A boy looks over the second floor of a home in the slum. 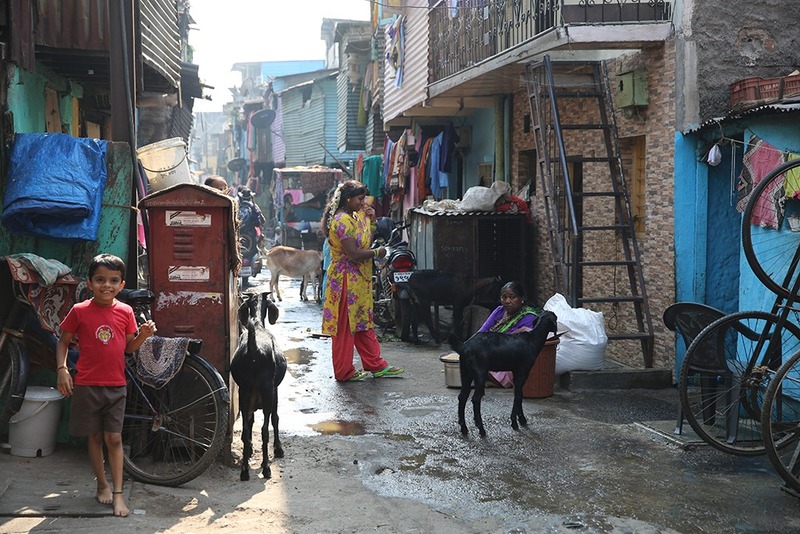 People walking in the alleys of the slum. Rocky holds his young nephew. He now has a better relationship with his family.